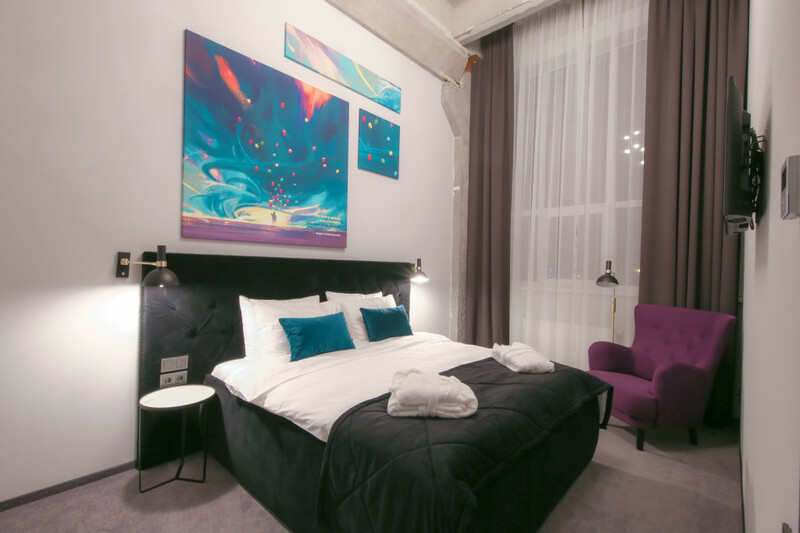 Loop Hotel has opened in the beginning of this year, in January 2018. It is a modern and inspiring 4 star hotel next to Vilnius international airport. It offers 105 rooms of an exclusive design, including 10 superior rooms and 28 two-floor lofts. Attentive details of the interior provide a harbor for relaxation after a business meeting, an exciting walk around the city or a delayed flight. You can also enjoy your time at a restaurant, gym, in one of several relax zones or a self-service mini-kitchen. 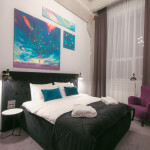 With its special design and unique style Loop hotel aims to create an inspiring atmosphere motivating guests to strive towards their highest achievements. Loop hotel is only one kilometer away from Vilnius international airport and three kilometers away from the city center. Supermarkets are less than one kilometer away. Free parking is available in the Hotel’s parking lot.